The webmaster of No Pasarán almost felt he was being deliberately targeted as the tear gas canisters started raining down on the yellow vest protesters around him on the Avenue de Friedland, one of the roads leading up to the Place Charles de Gaulle l'Étoile, already covered not in fog but in tear gas. 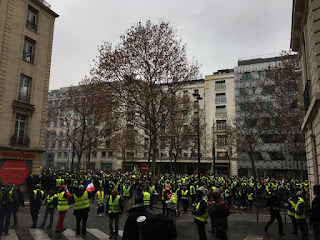 Whether it was related or simply a coincidence, the crowds had started chanting "Macron ! 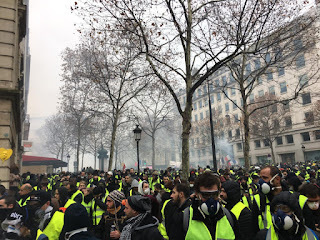 Démission| (Macron resign!) when the bombardment started. 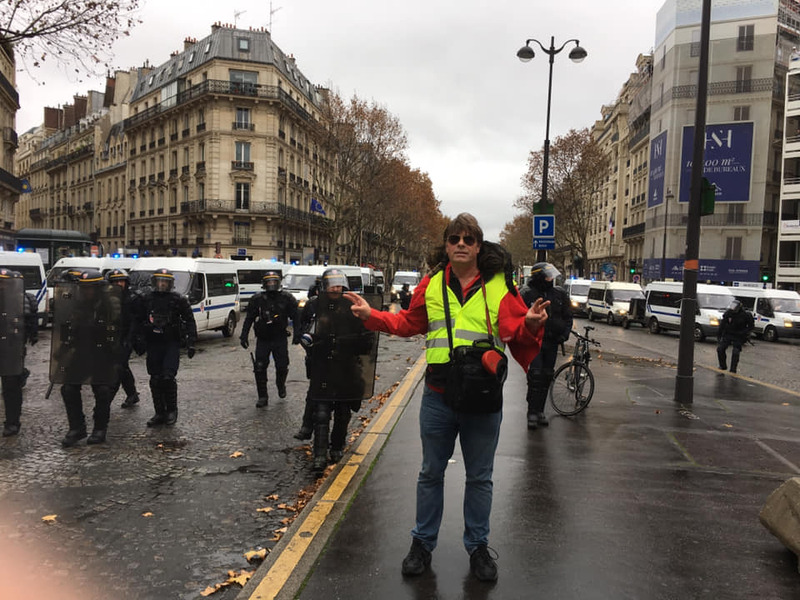 There is nary a single media report about the Yellow Vest demonstrations in Paris and France that I’ve read or watched that has not been slanted by Fake News. It is not wrong to say that the demonstrations were caused by the government's decision to raise gas prices. What is missing is that this is just one of several draconian measures dating back half a year, i.e., ‘tis the proverbial straw that broke the camel’s back. 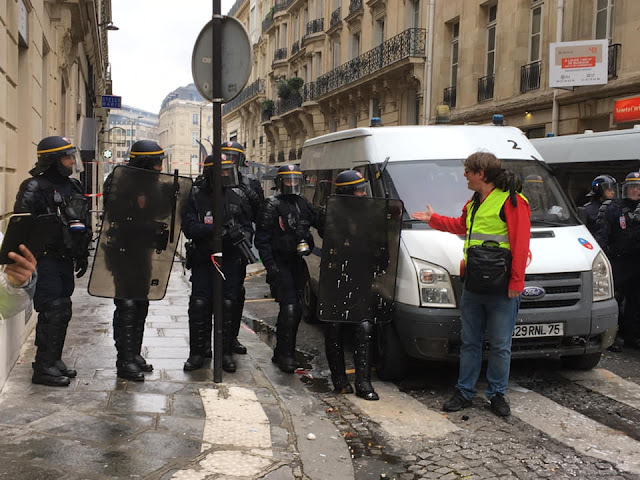 For the past four to five months, the French government has done nothing but double down on bringing more and more gratuitous oppression and more and more unwarranted persecution measures down on the necks the nation's drivers and motorcycle riders. …/… What has been most irksome for les Français since the turn of the century has been the ubiquitous radars, which, like red-light cameras in the United States, are accused of having (far) more to do with bringing revenue to the state than with road safety. WE ARE NOT MILCH COWS! All of which brings us to 2018. 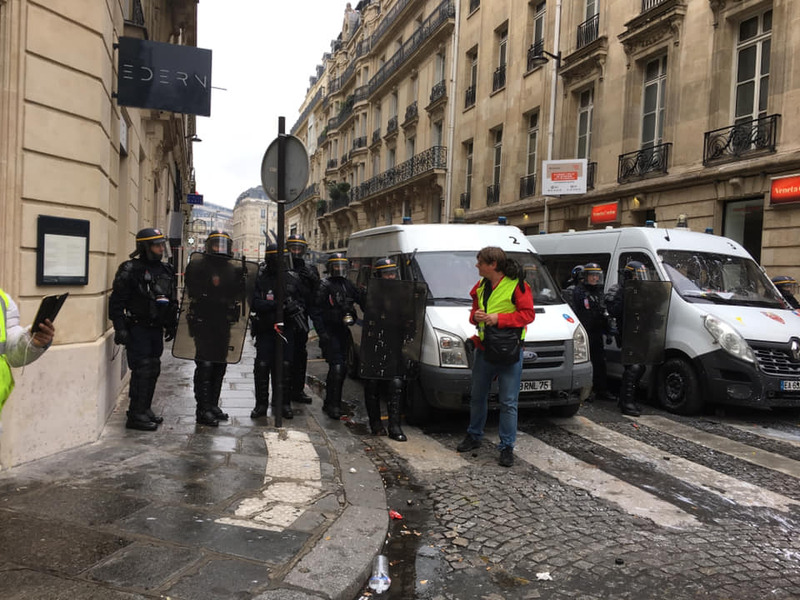 This year, as mentioned, Emmanuel Macron's government has doubled down on the repressive measures. • On July 1, Prime Minister Édouard Philippe did what no other country in Europe or in the West (or, as far as I know, on the planet) has done: go against the march of progress and lower the slowness limit (sorry, the speed limit) on secondary (country) roads by 10 km/h, decreasing the limit from 90 km/h (56 mph) to 80 km/h (50 mph). This is actually the point at which the first protests started. During the summer, the country saw a huge increase in instances of destruction (or incapacitation) of radars on the roadside. 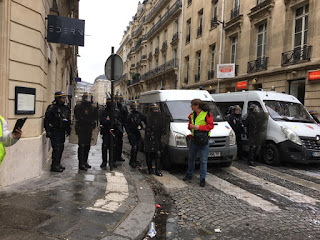 Many were defaced with paint, others were set on fire, while still others were simply covered with something like a garbage bag (one man arrested while covering a radar was let free by a judge who decided that since the garbage bag hadn't actually brought any physical harm to the machine in any way, the defendant could not be accused of destroying it). 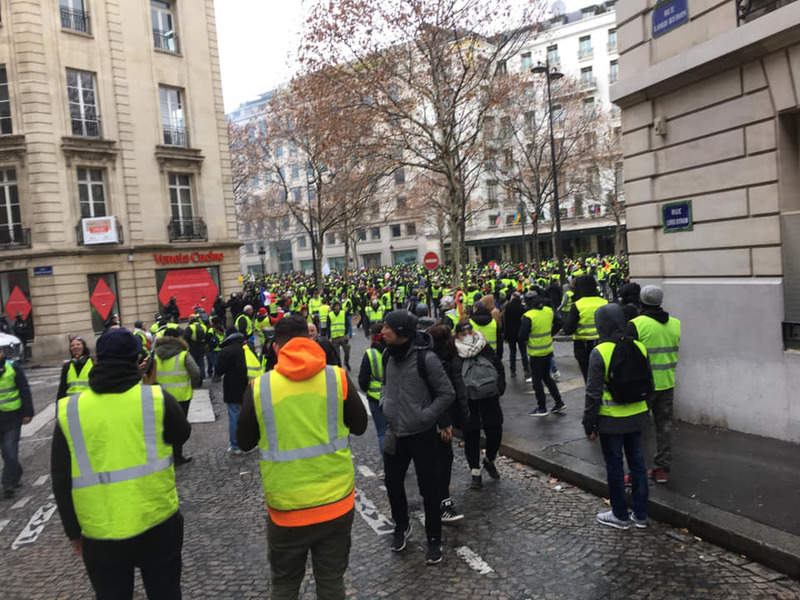 • More recently, the government added more gratuitous sanctions to the driver’s license point system, which is already far more punitive than that of most European countries, not least neighboring Germany's. • Finally, with the announcement of the gas prise rise, the French said "Enough is enough." And that was when the entire nation seemed to get together via the internet to mount the Yellow Vest revolt. Thanks for the great background on the protests. I was thinking that it took more than a tax rise to provoke riots by non antifa types. "France opened a probe into possible Russian interference behind the country’s Yellow Vest protests"
Was that an American flag near the end of the video? If it was, I wonder what the story about that flag is?